The installed price of solar energy has declined significantly in recent years as policy and market forces have driven more and more solar installations. Now, the latest data show that the continued decrease in solar prices is unlikely to slow down anytime soon, with total installed prices dropping by 5 percent for rooftop residential systems, and 12 percent for larger utility-scale solar farms. 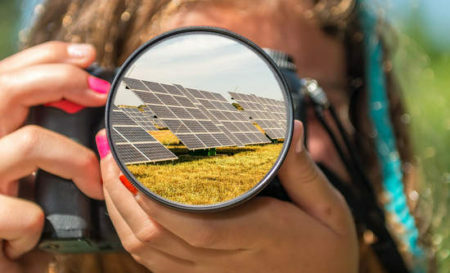 With solar already achieving record-low prices, the cost decline observed in 2015 indicates that the coming years will likely see utility-scale solar become cost competitive with conventional forms of electricity generation. Continue reading. This entry was posted in Nebraska / Midwest News, NewsBlog and tagged Chicago Tribune, declining costs of solar energy, Des Moines Register, Faribault Daily News, Nebraskans for Solar, Pine Journal, Renewable Energy World, Scientific American, Utility Dive on August 29, 2016 by Helen Deffenbacher. 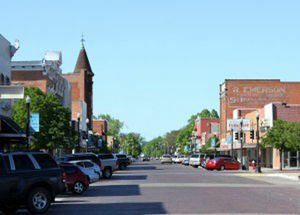 LEXINGTON, Neb. – The Lexington City Council dealt with a range of projects Tuesday at their regular meeting, perhaps chief among them a partnership in what Mayor John Fagot called the biggest solar energy project in the state of Nebraska. The council voted unanimously to enter into a power purchase agreement with Sol Systems, a solar energy company. Sol will build a five-megawatt capacity solar panel array on city-owned land north of the Greater Lexington addition. Fagot noted that the city isn’t purchasing and won’t maintain any of the equipment, and will retain ownership of the land. Continue reading. This entry was posted in Nebraska / Midwest News, NewsBlog and tagged AltEnergy Magazine, Cleveland.Com, Electric Co-op Today (ECT), Finance & Commerce, Lexington Clipper-Herald, Renew Economy, Vox, Windpower Engineering Development on August 27, 2016 by Helen Deffenbacher. The U.S. government has granted Apple approval to sell the company’s excess solar energy under the name Apple Energy LLC. If Apple becoming an energy “provider,” in addition to consumer, doesn’t serve as a proof point of the massive change happening in the utility industry today, not much else will. This move not only means Apple can now offload its surplus and make some extra cash; it also signals mounting pressure for traditional utilities to innovate, or else risk seeing customers turn elsewhere for energy services. Commercial customers make up over half the overall load and revenue at a typical utility — in smaller numbers and greater concentration than residential customers — and increasingly are taking matters into their own hands to meet their energy needs . . . In a recent survey by PriceWaterhouseCoopers, 72 percent of U.S. companies indicated that they are actively pursuing procurement of clean energy. Read more here. To learn about other large U.S. companies increasing access to renewable energy, visit: Corporate Renewable Energy Buyers’ Principles.Org. The Buyers’ Principles have outlined six criteria to help companies meet their ambitious renewable-energy purchasing goals. This entry was posted in Nebraska / Midwest News, NewsBlog and tagged Apple Energy LLC, commercial energy customers, Corporate Renewable Energy Buyers' Principles, large-scale U.S. energy users, Nebraskans for Solar, PriceWaterhouseCoopers, Renewable Energy World on August 23, 2016 by Helen Deffenbacher. This entry was posted in Energy Conservation, Nebraska / Midwest News, NewsBlog, Solar Schools and tagged American Council for an Energy-Efficient Economy (AEEE), Green Biz, Nebraska Solar Schools, Nebraskans for Solar, net-zero energy schools, The Washington Post on August 23, 2016 by Helen Deffenbacher. The Energy Department today awarded $5 million to 16 states to advance innovative approaches for clean energy development that will reduce energy bills for American families and businesses, protect the environment by reducing carbon emissions, and increase our nation’s energy security and resiliency. Through the department’s State Energy Program (SEP), each state will substantively advance energy efficiency and/or renewable energy, addressing a broad range of areas for advancement. Read the entire Department of Energy announcement here. To read expanded descriptions of each state award, click here. This entry was posted in Nebraska / Midwest News, NewsBlog and tagged energy efficiency & renewable energy development in Nebraska, Nebraska Energy Office, Nebraskans for Solar, State Energy Program, U.S. Department of Energy on August 22, 2016 by Helen Deffenbacher. Lincoln Electric System plans to dedicate the state’s first commercial solar energy park next month and commemorate the event with tours for SunShares supporters. Construction on the nearly 5-megawatt facility began in March, and it went online in late June, producing enough electricity to power about 900 homes . , . LES officials have said it’s also a possible stepping stone to additional solar projects . . . LES will host a dedication ceremony at 10:30 a.m. on Sept. 16, which will be live broadcast on the Cube in the West Haymarket’s Railyard, then take people from the Railyard for two one-hour tours. The first bus leaves the Railyard at 11 a.m. and the second at 12:30 p.m. Space is limited. Read more here. 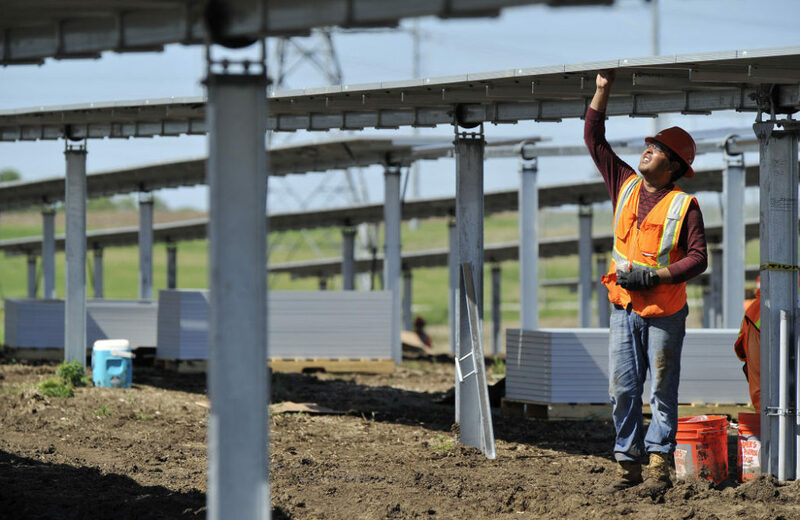 This entry was posted in Community-Scale Solar, Nebraska / Midwest News, NewsBlog and tagged community solar, KOLN, Lincoln Electric System's solar energy park, Lincoln Electric System's SunShares Program, Lincoln Journal Star, Nebraska's first commercial solar energy park on August 22, 2016 by Helen Deffenbacher. Many countries are on the brink of becoming self-sufficient in their clean energy production, thanks to advances in battery technology that allow electricity from renewable sources to be stored and used on demand. Over the years, as renewable energy generation methods have charged forward, utility companies have struggled with how to integrate that clean energy in usable ways. Now, scientists at Harvard, MIT, Stanford, the Lawrence Livermore and Oak Ridge labs, and other agencies are working on energy storage projects funded by the U.S. Department of Energy, with their sights set on what the department calls the ‘holy grail’ of energy policy. The department says the industry could be transformed in as little as five to ten years. Read more here. Sandia National Laboratories maintains a clearinghouse of state and federal policies as well as a list of projects, called the Energy Storage Exchange. [U.S.] — should follow its lead. 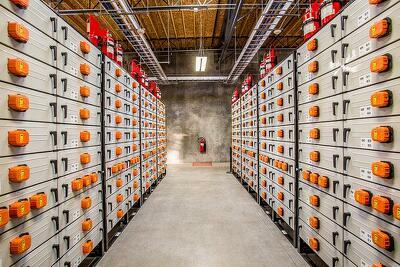 Total recently bought energy storage company Saft for $1 billion, allowing it to compete with Tesla-SolarCity. 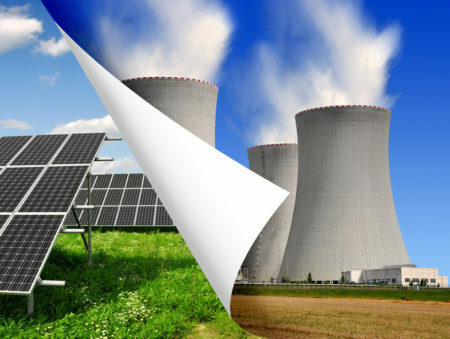 This entry was posted in Energy Storage, NewsBlog and tagged Inhabitat, Nebraskans for Solar, renewable energy storage, Sandia National Laboratories Energy Storage Exchange, Solar Industry, Triple Pundit, U.S. Energy Department, Yale Climate Connections on August 19, 2016 by Helen Deffenbacher. Should Troubled Nuclear Reactors Be Subsidized? A former state regulator and member of the U.S. Nuclear Regulatory Commission argues that subsidizing reactors to keep them running is unnecessary and will be bad for consumers and the environment. In California and in Nebraska, utilities plan to replace nuclear plants that are closing early for economic reasons almost entirely with electricity from carbon-free sources. Such transitions are achievable in most systems as long as the shutdowns are planned in advance to be carbon-free. In California these replacement resources, which include renewables, storage, transmission enhancements and energy efficiency measures, will for the most part be procured through competitive processes. Indeed, any state where a utility threatens to close a plant can run an auction to ascertain whether there are sufficient low-carbon resources available to replace the unit within a particular time frame. Read more. 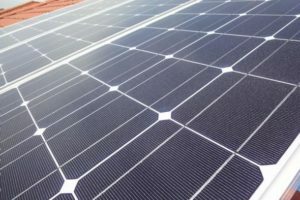 This entry was posted in Nebraska / Midwest News, NewsBlog and tagged GovTech, Midwest Energy News, Nebraskans for Solar on August 19, 2016 by Helen Deffenbacher. REAP [Rural Energy for America Program] is available to agricultural producers (51 percent or more of gross income comes from agriculture production) and rural (any area that has a population of 50,000 or less and is not adjacent to or is not a contiguous part of an urbanized area) small businesses (as classified by the Small Business Administration). The goal of the program is to reduce energy use and cost, and to help meet the Nation’s energy needs. REAP has two types of funding assistance available: grants and/or guaranteed loans. 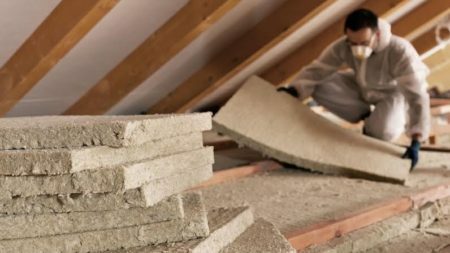 Assistance is available for energy efficiency improvements and renewable energy systems. Read the entire article here. Bill Sheppard is a USDA Rural Development Business Programs Specialist in Norfolk. He can be reached at 402-371-5350 Extension 104 or by email at bill.sheppard@ne.usda.gov. Click here for a list of all Nebraska USDA Contacts. 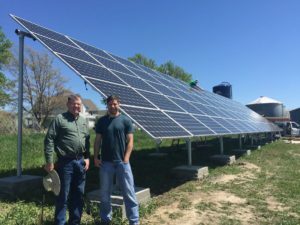 This entry was posted in Financing, Nebraska / Midwest News, NewsBlog and tagged farm energy, Fremont Tribune, Nebraska USDA Rural Development Business Programs, Nebraskans for Solar, renewable energy financing, Rural Energy for America Program (REAP), U.S. Department of Agriculture (USDA) on August 19, 2016 by Helen Deffenbacher. “The Pay as You Save system has been active in the power sector for nine years now, but the leaders who have been demonstrating its efficacy have been in a part of the power sector that’s little tended and not particularly well known,” said Holmes Hummel, founder of Clean Energy Works, which advocates for the use of PAYS . . . “Electric cooperatives have been by far the leaders in this innovation and the reason for that is the alignment they have between shareholder interests and customer interests,” said Hummel. “Electric co-ops are, frankly, more nimble. They’re relatively efficient organizations.” Read more here. 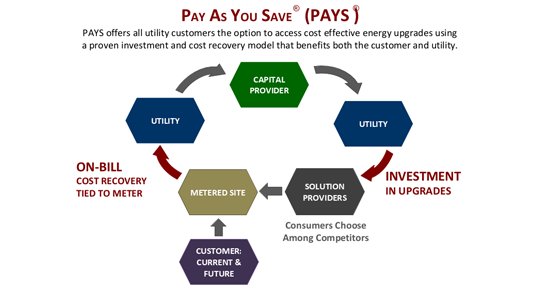 This entry was posted in Energy Conservation, Financing, NewsBlog and tagged Clean Energy Works, electric cooperatives, energy efficiency, innovative ways to pay for household energy upgrades, Pay-As-You-Save (PAYS) System, Robert Walton, Utility Dive on August 17, 2016 by Helen Deffenbacher.